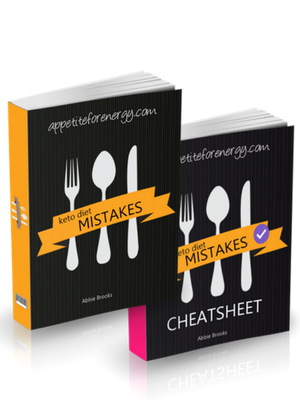 Home » Solutions to Keto Diet Problems » Are You Making These Keto Diet Mistakes? It takes a while to transition to a ketogenic diet. The quicker you try to do it, the more likely you are to have issues. This is because there are a number of trip points that can make or break your results. The quicker you get down to a carbohydrate intake of 20-50g, the more of a shock it will be to your body. It is also difficult to take on some of the subtle principles of the diet which can have a huge impact on how you feel. It also affects whether you stick with the keto lifestyle and get to enjoy its many benefits. Most of the fixes are simple to implement and can have an instant effect on your mood and energy levels. This post will kick off by exploring 3 of the most common trip-points that come up for ketogenic dieters. 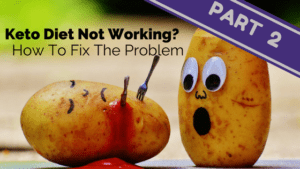 It is the first of a series of posts this month, which will cover how to fix some of the common issues people face on ketogenic diets. If you have gone through the checklist in this guide and are still not getting results, then it may not be right for you or there may be an underlying medical issue. It’s very common for an underlying medical issue in particular autoimmune conditions, to be the root cause of any diet not working. I can personally speak to being unable to lose weight while suffering from an undiagnosed thyroid condition (hypothyroidism) which you can read more about here. This is why you should have a general check-up (including bloodwork) with your medical practitioner to rule out any of these issues. This sounds strange as we are constantly being told to cut back on salt in our diet. When you reduce carbohydrates dramatically in your diet, insulin levels drop. When insulin levels drop, your kidneys release sodium. The body will then lose water along with the sodium causing an electrolyte imbalance or sodium deficiency. This can cause unpleasant side effects such as headaches, constipation, fatigue and dizziness. It’s commonly referred to as “keto flu”. You will probably notice that you feel quite thirsty when you start reducing carbs, so be sure to drink lots of water. Fortunately, sodium deficiency is an easy problem to fix. Extra salt can be added into your food when cooking or to drinking water. I typically add 1/4 teaspoon of fine sea salt to a couple of glasses of water during the day to replace sodium. Another idea is to drink a cup of broth or stock every day. 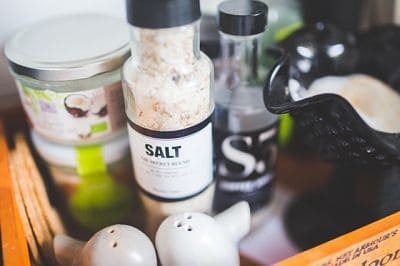 The other reason that sodium needs to be added to your diet is that as you reduce carbs and increase fat, you typically stop eating a lot of processed foods. These processed foods contain lots of sodium that we are often not aware of. When you stop eating processed food, you inadvertently reduce your salt intake. If you have blood pressure issues or any health problems, be sure to consult you doctor before increasing salt intake. Solution: Add 1/4 – 1/2 teaspoon salt in total (fine sea salt or pink Himalayan salt) to the water you drink, add extra salt to food and/or drink a cup of bone broth or stock (bouillion) each day. If you have blood pressure issues or any health problems, be sure to consult you doctor before increasing salt intake. 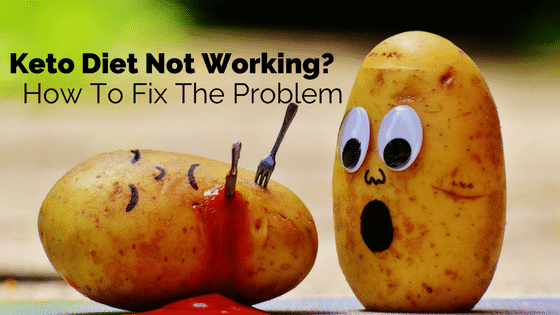 Another common culprit for the ketogenic diet not working is eating too many carbs. When you start out on a low-carb diet, it takes a while to get to know the rough carbohydrate content of different foods. That is unless you enjoy studying carbohydrate counters. When I first started out, I didn’t realize that there were any carbs in milk at all. I was merrily enjoying my milk before I discovered that there are 11g of carbohydrate in a cup of milk. The carb content is similar for whole milk and 2% fat milk. Actually non-fat or skim milk has a slightly higher carb content of 12g per cup! You don’t need to cut milk out altogether but it’s worth knowing that too much can add up. Some other common culprits that can catch you out if you eat too much of them are nuts, yogurt and vegetables like carrot, sweet potato and pumpkin or butternut squash. Products that you don’t think of as food like chewing gum, cough syrups, cough drops and mints usually contain sugar or other carbs. So watch out for them. Tracking what you are eating is also useful as it helps you to know if you have cut back your carbs enough. I use a free app called MyFitnessPal, which keeps track of your carbs (by gram, calorie and %), protein and fats. If your carb intake is too high you can have a closer look to see which foods are the problem. Solution #1 : Watch out for sneaky higher carb foods like milk, nuts, yogurt, carrots, sweet potato and pumpkin or butternut squash. Classic non-foods such as chewing gum, cough syrups, cough drops and mints can also be high in carbs. Solution #2 : Use a tracking app such as MyFitnessPal to track your food daily. This will allow you to drill in and see which foods are pushing up your carbs. 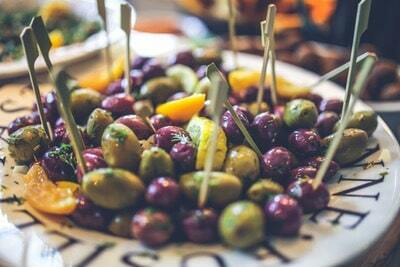 See our post on how to set it up for the Ketogenic Diet. What? You don’t like bacon but want to try the Ketogenic Diet? You don’t usually eat the skin on chicken or fat on meat? After years of eating low-fat you probably have a list of banned high-fat foods that you avoid. This pretty much describes me. I am not a big fan of bacon (I know I am in the minority here) and have never liked eating chicken skin. When I would eat steak, I would carefully cut off every last bit of fat. I even remember attempting to cut all the fat off chicken thighs. This took about half an hour. When I finished my precision job, there was hardly any chicken left to cook! While I have got over my fear of chicken thigh fat (buying organic or pastured produce helps), I still don’t eat bacon much. You can still eat keto or low-carb without these classic high-fat foods like bacon. I get my fat from other sources such as avocado, butter, eggs, coconut oil and MCT oil, cream, cheese, olives, nuts and olive oil. The diet also allows lots of fresh vegetables. Focus on eating the types of foods that you enjoy and work around them to reach the levels of fat that you need. You can download our free printable list of 100 Ketogenic Foods here for easy reference. You certainly shouldn’t feel that you need to eat bacon or organ meat or anything that you don’t like. Having said that, it may be worth trying some of these foods. 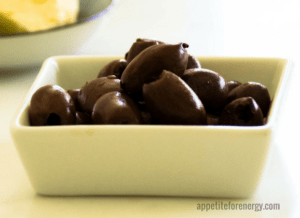 You might discover that you like some of them after years of telling yourself you can’t eat them because of the low-fat message we have had drilled into us for years. Fat should make up 75-85% off your diet by calories. It sounds like a lot but because fats are more calorie-dense than carbs, it is less than you think. If you are eating low-carb (roughly 50-100g net carb per day), your fat % (of calories) could be lower at 65-70%. Here’s my go-to list of foods that are high in fat. They are ideal if you need to increase the fat content in your diet. How can heavy cream be ok, if milk has so many carbs. Wouldn’t cream have more carbs? It’s the opposite of what you would think! Cream has less carbs than milk. 1 cup of whole milk has 11g net carbs, 1 cup of 2% milk has 11.4g net carbs but 1 cup heavy cream has 6.6g net carbs. Cream has about half the carbs than milk so since you’d normally have a small amount of cream (not 1 cup!) it doesn’t add a huge amount of carbs. eg. 1 tbsp heavy cream in your cofee adds 0.4g net carbs – not much at all. The difference is because of the high fat content in cream v milk. Ok but what about calorie intake? Does the calorie-in vs calorie-out rule not apply to ketogenic diets too? My concern is that on both a calorie reduced AND ketogenic diet, one would be so hungry because ketogenic meals are naturally MUCH higher than the average dish (what with all the added fats that is). This seems to me to mean that if I were to maintain say, a 500 calorie deficit per day, that I would be eating 1/4-1/3 the volume of my normal intake? I rarely eat things like cheese and chicken skin… so how does this compute? Thanks! I don’t think you need to plan a calorie deficit – and 500 calories seems very high! Most people find (but not all) that if they allow the process above to take place naturally, that weight loss follows. If a person is not losing weight after reducing carbs to between 20-50 net carbs per day, then calorie restriction might be appropriate. Hope this helps! I am eating meat cheese eggs and lettuce celery avocado tomatoes mushrooms cucumber peppers onion and zucchini yet I am not loosing weight. What am I doing wrong? I am also taking lipozene. It sounds like you are on the right track, however there are many possible reasons why you aren’t losing weight. I would suggest tracking your macros to find out what you need to eat more or less of. Go to this macro calculator to work out your goals [http://bit.ly/2o0Diea], then try an app like Myfitnesspal [https://www.myfitnesspal.com/] and track what you eat for a week. I’d also suggest (if you’ve not already done this) getting bloodwork done with your doctor to rule out any underlying medical issues that prevent weight-loss. Many of these are easily treated but frequently go undiagnosed. I can’t comment on lipozene as I’m not familiar with it. Fat makes up the largest part of your diet on a ketogenic diet (calculated as a % calorie, not the weight). 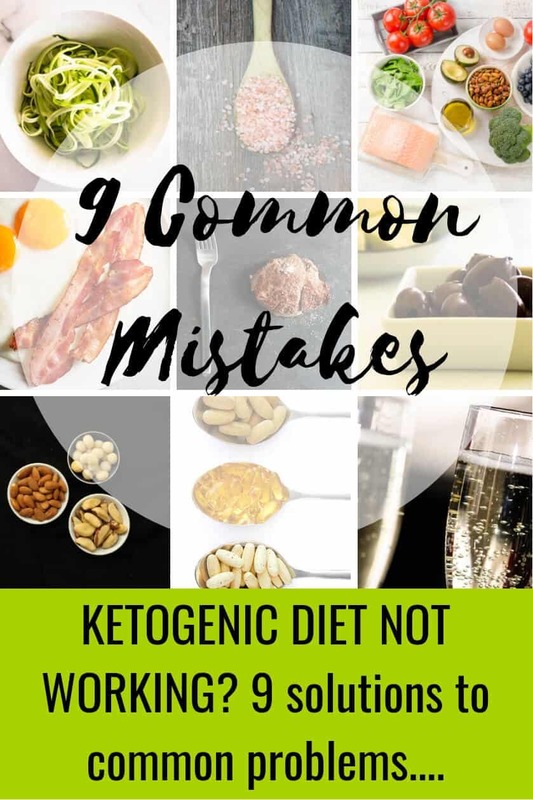 The keto diet is defined as being low-carb, high fat and moderate protein. Your description of how you eat is like I wrote it lol. I too am in the non-bacon minority. But since I have started keto I feel great! Thanks for the helpful tips! I’m really glad you found the tips helpful. There are plenty of Keto things to eat apart from bacon – thank goodness!